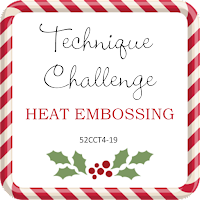 This week’s challenge at 52 Christmas Card Challenge is to make a card using heat embossing. I selected two stamps by Hero Arts. 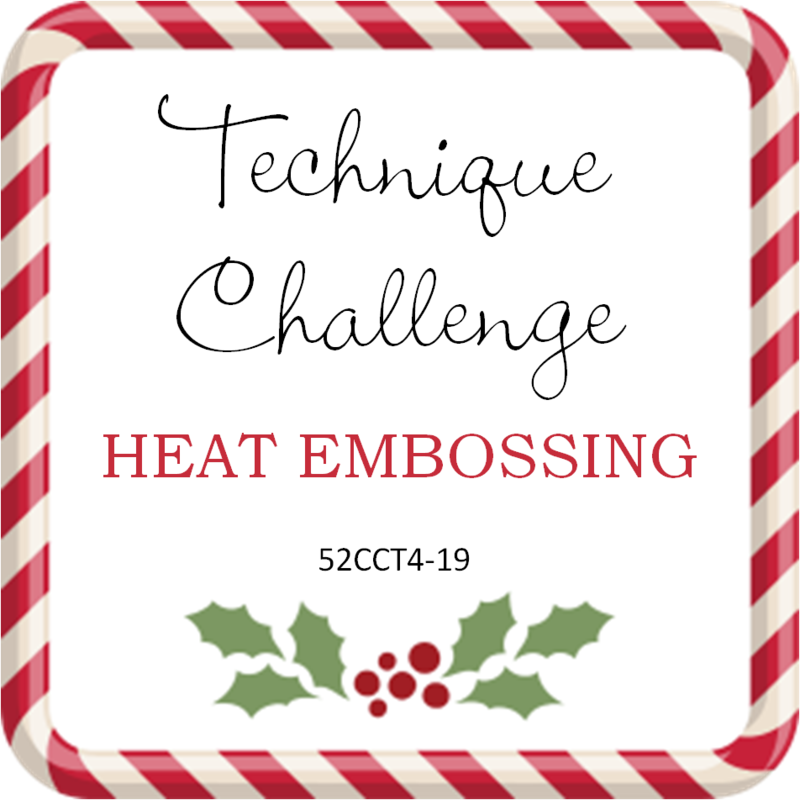 I started with white embossing the trees in white Hero Arts Embossing powder. Next using various blue shades of Oxide Ink, I sponged the Neenah Solar cardstock background in various tones. I cleaned the ink off the embossed image with a baby wipe. I added the sentiment in Versafine Black and finished the project by layered the image on white and blue cardstock. I decided to flick water into the card for the effect. A beautiful scene. I like the look the water gives.